On June 26, 2015, Justice Anthony Kennedy released these words that changed the world for millions of Americans when the Supreme Court ruled that all couples have the right to marry. 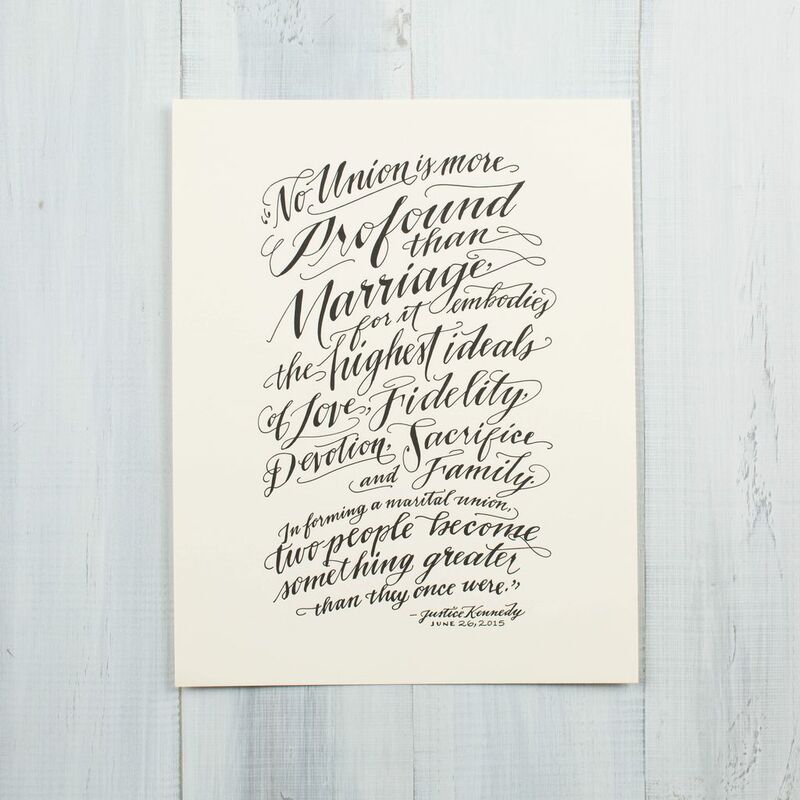 Commemorate this beautiful moment with a 11" x 14" hand-lettered design, letterpress printed onto soft and thick 110lb Crane's Lettra Paper. 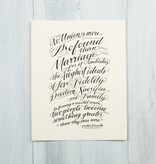 Perfect for wedding gifts and anniversaries!